This one is quickly making the rounds throughout the MINI community, but as a NY Giants fan, I couldn't *not* cover it too! 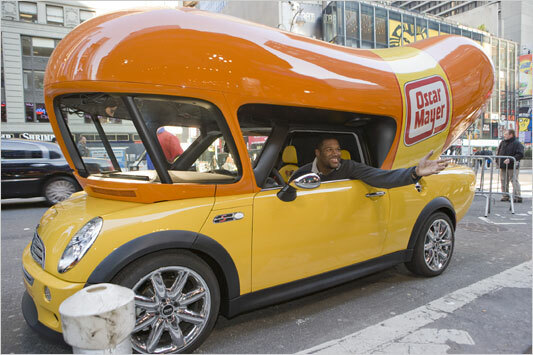 Michael Strahan at the wheel of the Mini Wienermobile. "Mr. Strahan squeezed his 6’5” frame behind the wheel of the new Mini Wienermobile, a smaller, sportier version of Oscar Mayer’s somewhat famous Wienermobile... his knees wedged beneath the dashboard, [he] flashed his broad gap-toothed smile as he eased the car into gear, moving through the cordoned-off lane at about the same speed at which one might walk back to the huddle after an incomplete pass..."
This one- according to the (poster/owner) "xBoXlOvEr", is running H&R Springs and 215/35/18 G-Force BF Goodrich tyres. Which is how you spell tires in Madrid. Credit/props go to Rally of stancedesigns.com for the best photoshop of a Clubman I've seen to date! 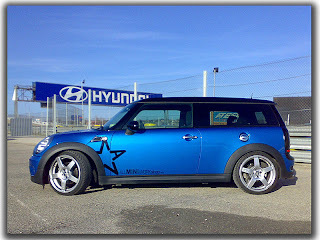 Slammed and shaved, MINI designers and aftermarket tuners, take note! AC Schnitzer's drop, as discussed here. What happens at AMVIV stays at AMVIV! Officially, AMVIV is "A MINI VACATION IN VEGAS!" Cool cars, cool people, exciting "runs" and related events, located in the heart of "America's Playground", who can resist?!? 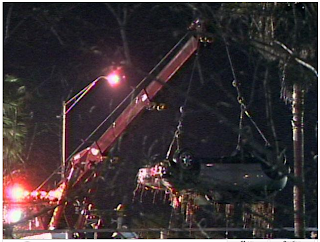 As of this posting, there are about 350 cars and over 500 individuals registered for this 3-day event. 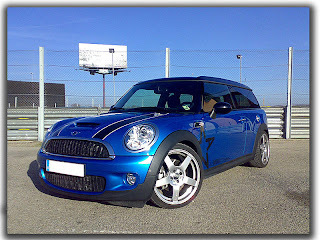 If you have the time and a MINI you should seriously consider it! 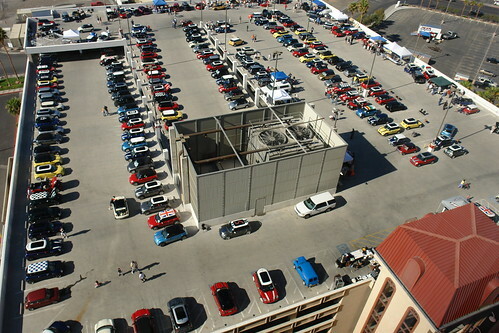 If you're in the area and curious what a parking garage full of MINIs looks like, you should pop in! NOTE: I am not a shill for AMVIV- I'm just ridiculously excited to go for a third year in a row!